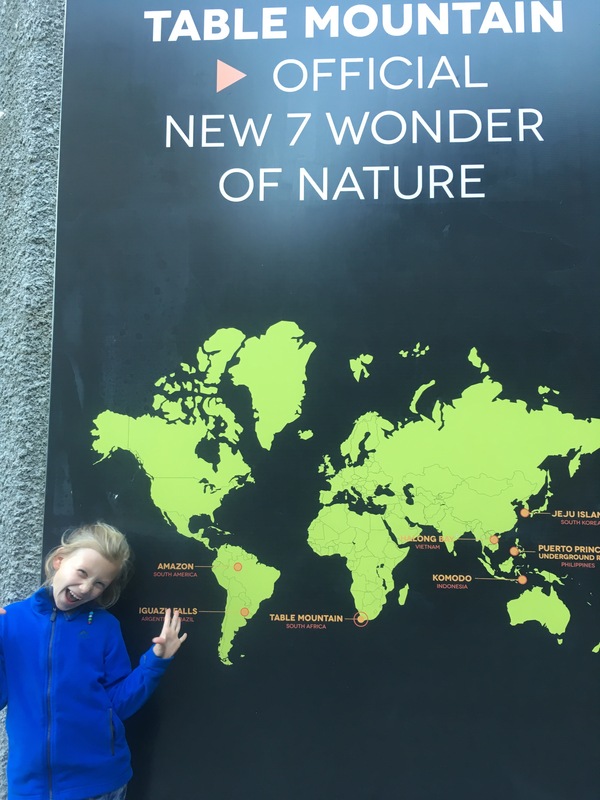 Monuntains, Oceans and Smiles …where should I start? In Cape Town, everyone seems to smile all the time. And everyone is nice! They are almost as nice as the people in Greece and I didn’t think that was possible! Now on to what I have been doing. 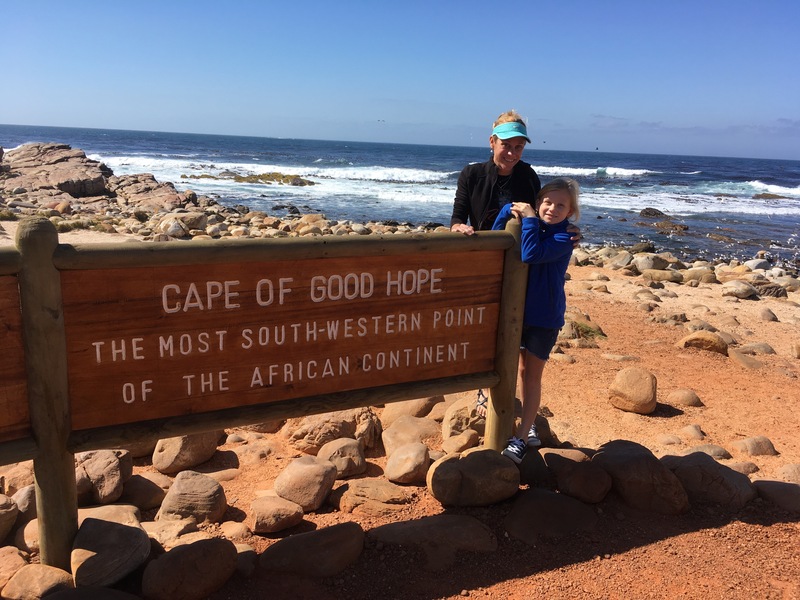 We went to the the Cape Of Good Hope for Mommy’s birthday! It was so cool! South Africa does not allow anyone to build anywhere near the Cape so it is miles and miles of wilderness. 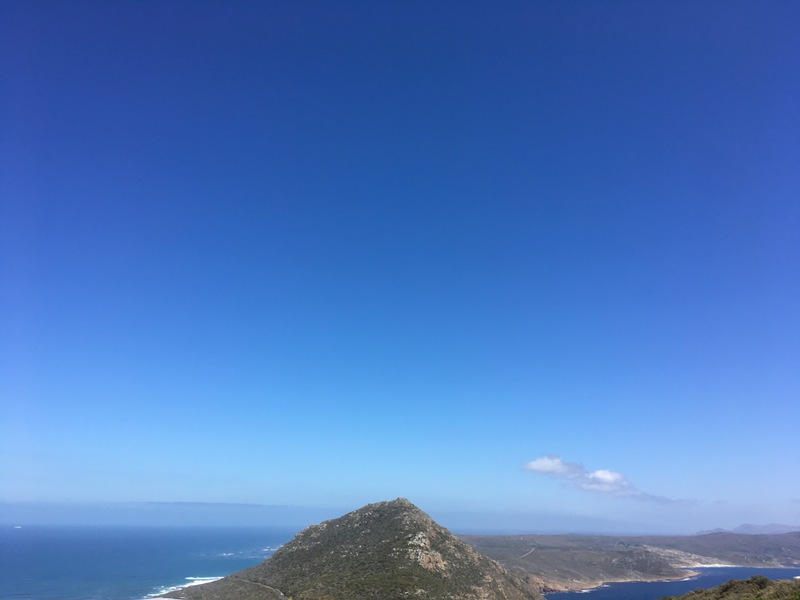 Some say The Cape Of Good Hope is were the Indian Ocean meets the Atlantic Ocean! They also have a lighthouse that we had to hike up to. It was a long hike up, but we got there with no water, no broken legs and no crying! 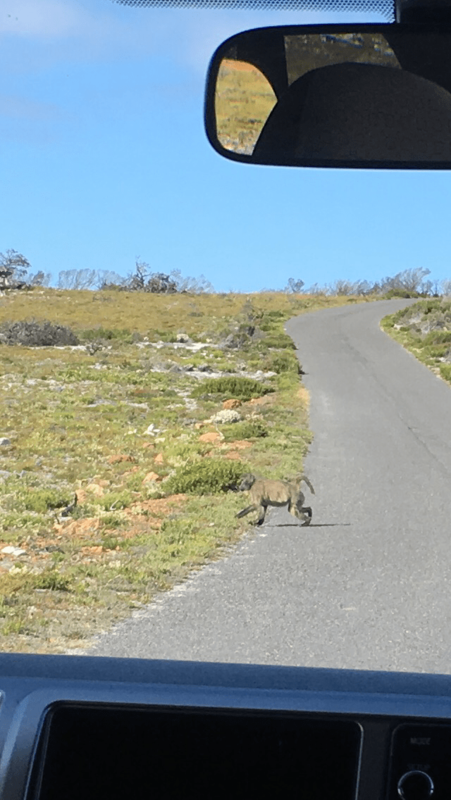 When we were driving around the Cape, we saw baboons just walking down the road, ostrichs running around and lots more wildlife. Speaking of wildlife, after we left the Cape, we went to see Penguins! 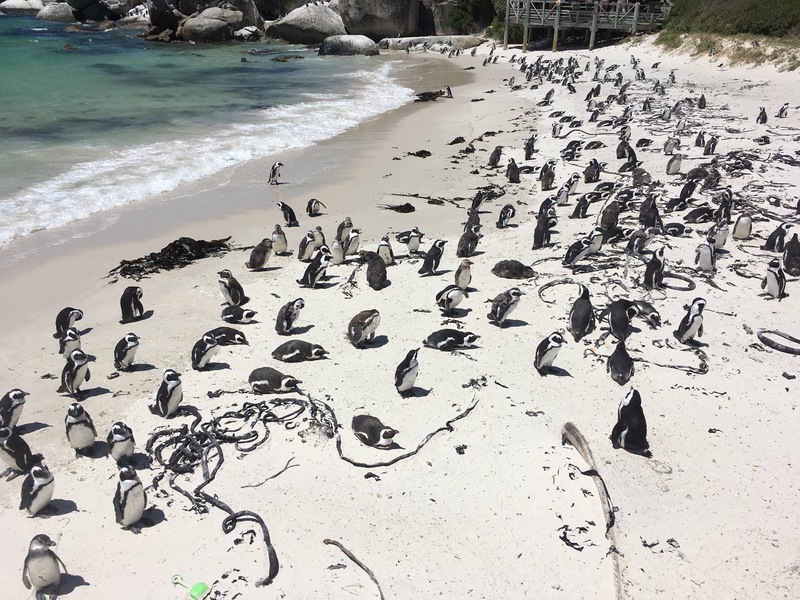 Boulder Beach is home to a HUGE colony of African Penguins! 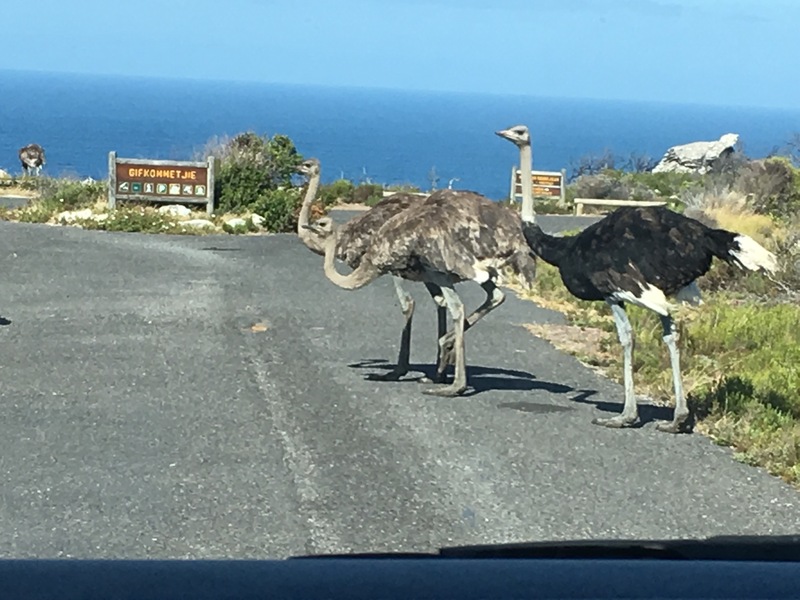 The African Penguins were disappearing from the area so wildlife scientist put 2 Penguins there at Boulder Beach and protected their area. They started to multiply and now there are lots and lots there. 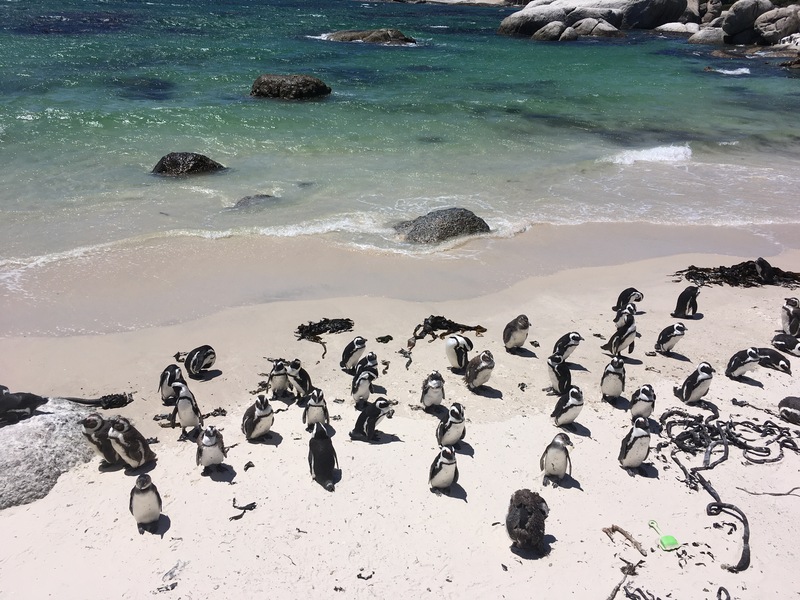 The penguins stay there because the beach is protected by huge boulders. And park rangers feed the Penguins there too. The beach is a beach for penguins and I bet you are thinking that I was on the beach. No, it is literally for peguins only. You have to buy tickets and all that jazz. But the Penguins could leave if they wanted to. They are not fenced in. It is just a real beach with a walkway for people to walk through. One of the prettiest parks in Cape Town. They’re favorite park is Table Mountain. So, I am doing my school work and mommy said ‘Cricket, you want to go to Table Mountain?’ YES! 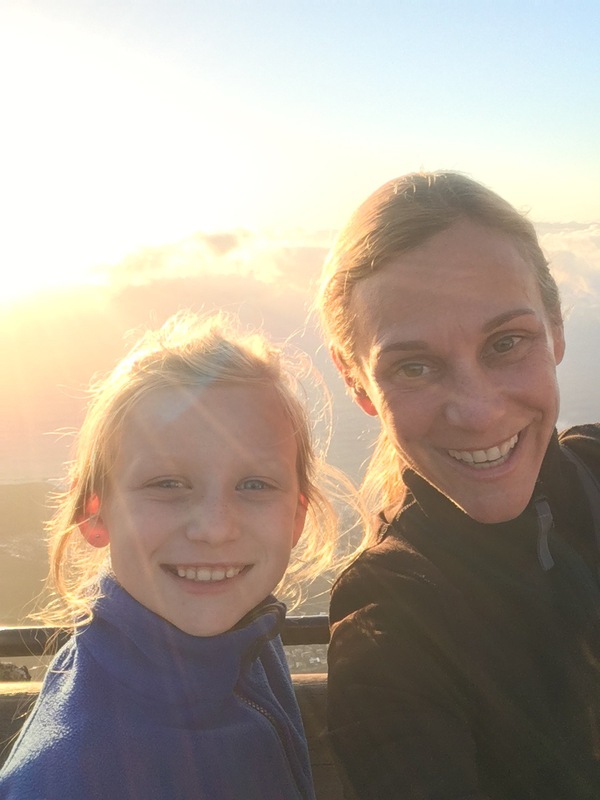 We grabbed an Uber and took off to catch the sunset on the top of the mountain. 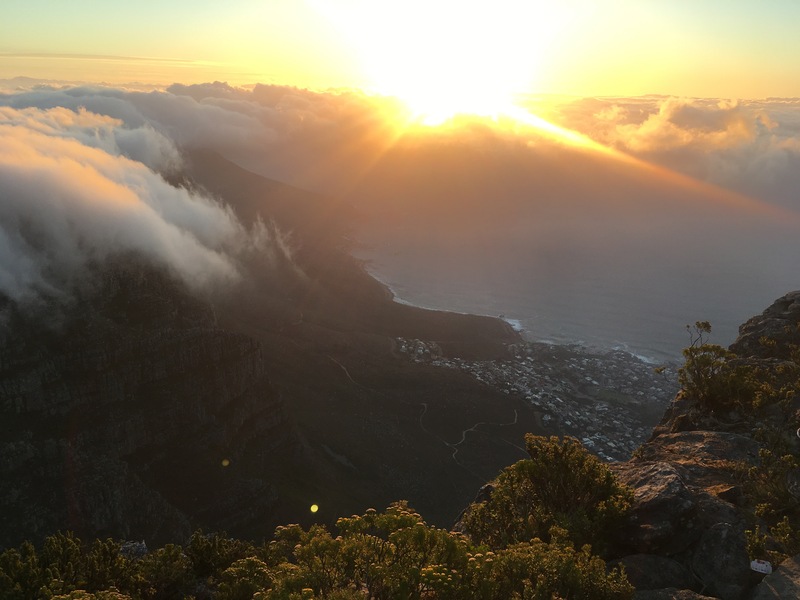 Table Mountain looks over Cape Town. It even looks like a table too because it has a flat long top. It also is one of the oldest mountains in the world and some say it is the oldest! 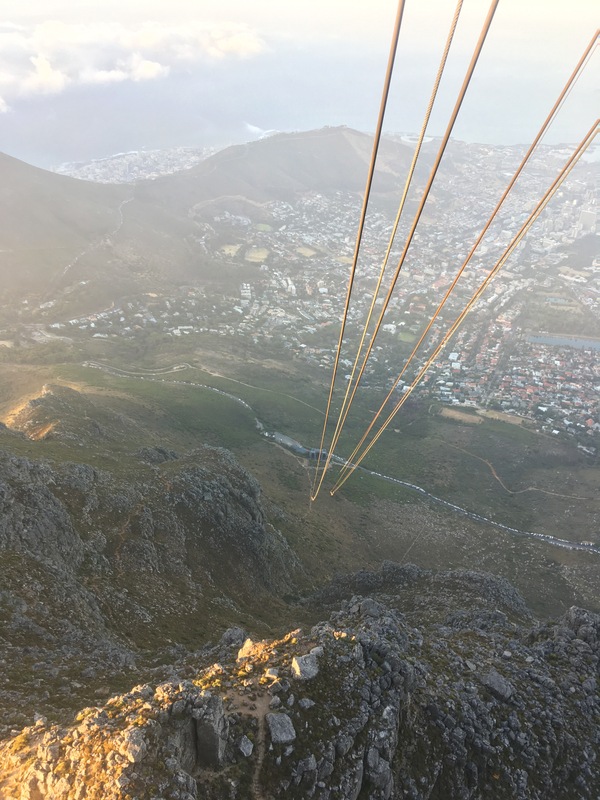 The ride up is super fast and the floor in the cable car moves around in a circle so you can see all different ways as you go up. It is so pretty at the top above the clouds and the air felt so great on my face and smelled soooooooooooooooooooooooo good! I think it was the best sunset I have ever seen. We saw the sunset on one side and the moon was so big right on the otherside. It was like a dream. Now I will tell you about another kind of dream. Me. Nelson Mandela had a dream. His dream was for black and white to be equal and for South Africa to be a democracy. He spent 27 years in prison for his dream. 18 of those years or spent in a prison on Robben Island. Today, I took a boat out to visit the prison. 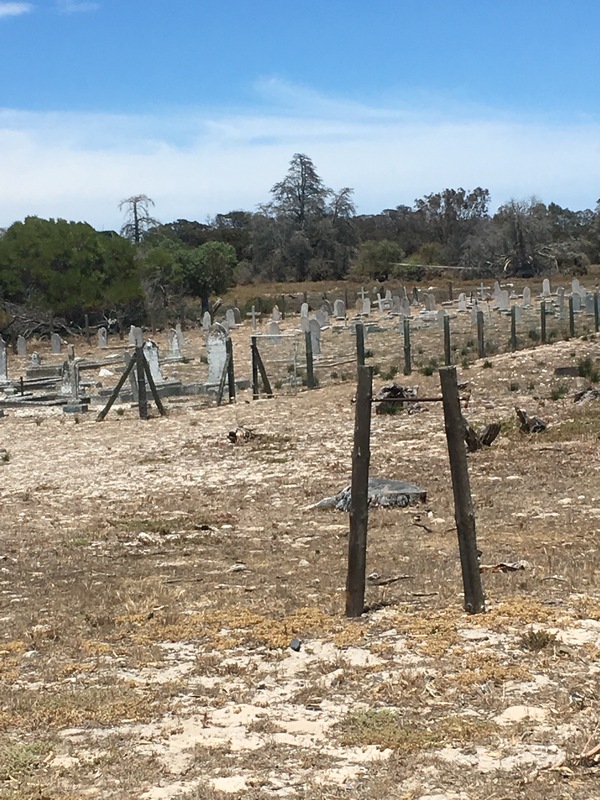 Robben Island is the island but what makes Robben Island sometimes scary is it’s history. Our tour guide was a political prisoner at this island and he spent nine years in prison on that island. 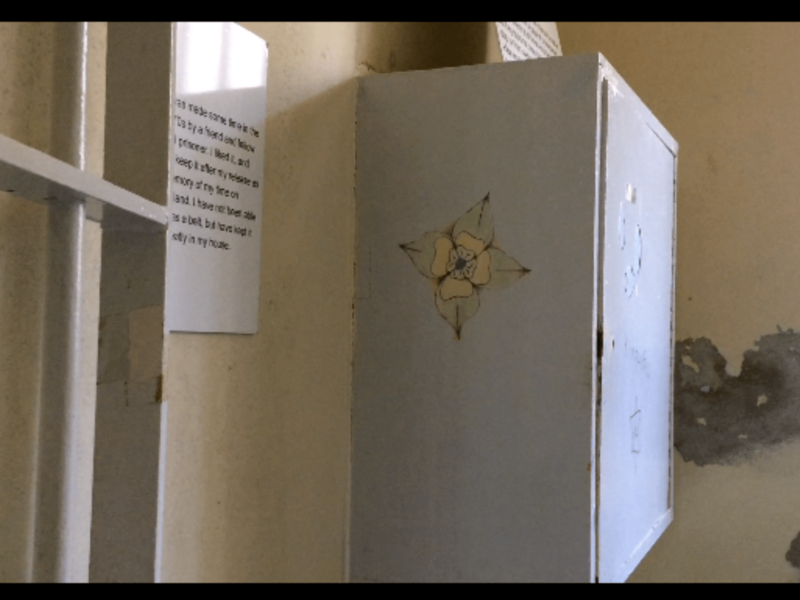 Nelson Mandela cell was very small. 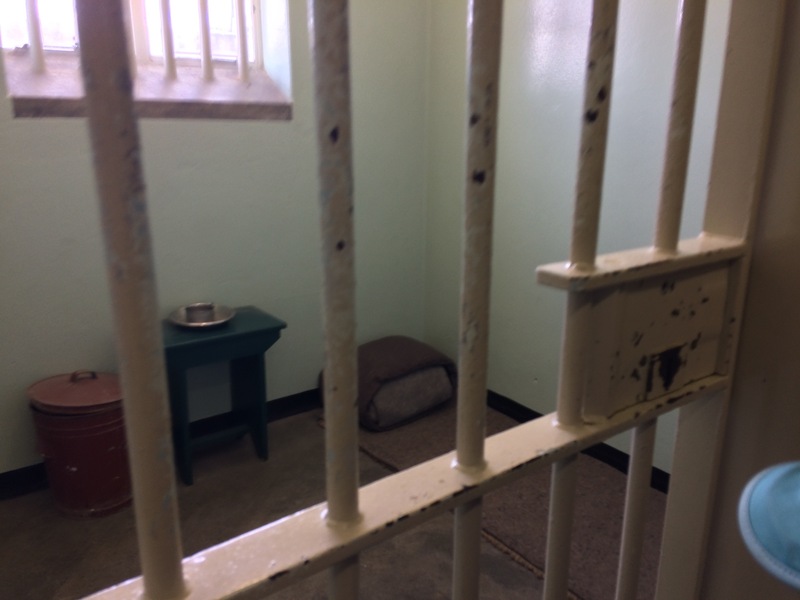 The book I was reading said that Nelson Mandela could only walk three steps in that cell! The prisoners had to work in a limestone query on the island. In the query there was a cave that the men would take their lunch in. They say that this cave is where democracy first started in south Africa. The guards never went in the cave and it was the only place where the political prisoners could talk about democracy. The guards stayed out of the cave because it was also used as the prisoners bathroom. They had to use the bathroom in the cage because the guards were ordered to shoot them if they left the query. Another really sad thing about working in the query was that the men were not given any sunglasses, gloves or anything. Eventually, several years later, the men’s families were allowed to buy them these things, but most of their families were too poor to purchase the items. The prisoners that work in the query all suffered a lot of injuries that never left them. Most of them could not cry because of damages from the dust to their tear ducks. And when they would speak to reporters, the reporters were asked not to use flash on the cameras because their eyes were damaged from the dust in the query. 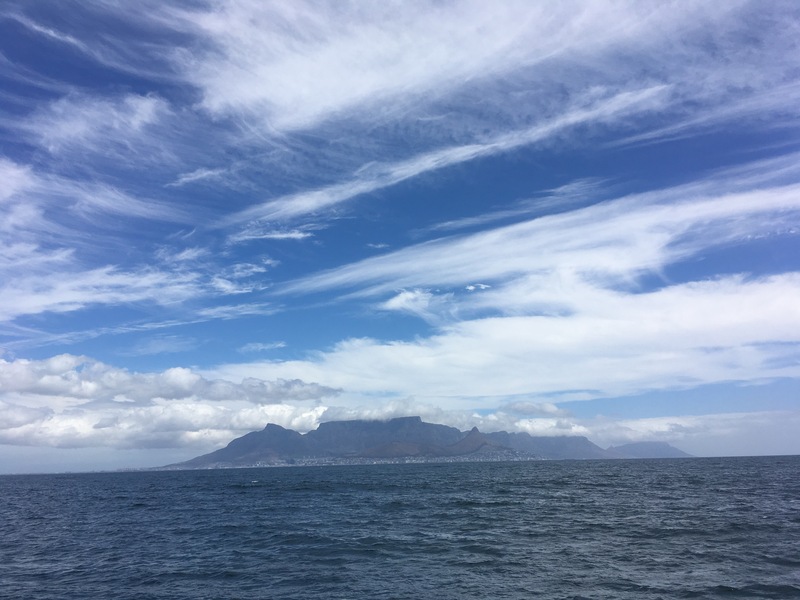 Life as a prisoner on Robben Island sounded really awful. Which makes me very surprised that President Mandela did not stay angry after he was released. President Mandela forgave and practiced reconciliation. President Mandela asked all black South Africans to also practice reconciliation. That is what is so amazing to me. You can read all about it in his book called A Long Walk To Freedom. He buried a manuscript of the book in his garden at the prison! That photo above is from the inside of a cell. It is a drawing by a prisoner during his time in the cell. The political prisoners seemed to always have hope of a better South Africa. Bye! Hope you had a nice trip with me! Hi Cricket and Jaz!!! Looks like Jaz had a great birthday!! Cricket, this is an awesome country. It is so remote and primitive. I love table mountain. I bet you and your mom had a great time for her birthday. I thought about her on the ninth! Where do you guys go next? Can’t wait to see the pictures and read the blog. SorryI did not respond,I am in Johannesburg.Next up I think will be the best part of the trip the monkeys!That I will be working for ! Thank you!!! You and daddy are the only ones who can comment. I hope you can help G figure it out! !